Another simple one for today’s Flannel Friday. If you do infant and toddler storytimes, and don’t have this book yet, it’s so worth getting! The best part is the reversible bear. 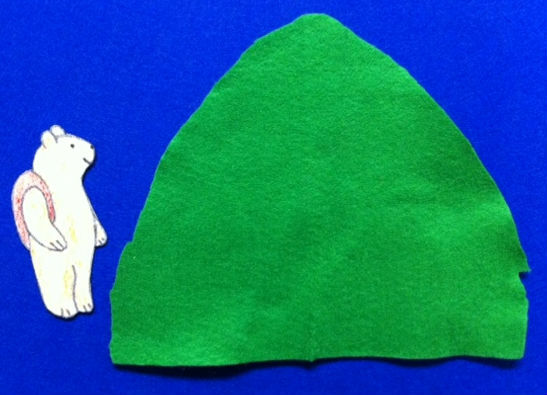 You make him move up the mountain on one side, and then flip him over to sing it all over again and move him up the other side of the mountain. Judy Sierra also suggests making this into a stick puppet, which I need to do. And isn’t the fact that he has a backpack so rugged? Katie at Storytime Secrets hosts the Flannel Friday Roundup this week! This entry was posted in Flannel Friday and tagged Flannel Friday, infants, storytime, toddlers by jeninthelibrary. Bookmark the permalink. So cute! The Bear Went Over the Mountain was my nephew’s favorite song when he was little. I can see a lot of kids enjoying this one! Thank you! It’s so nice when you do a song that the kids already know and can join in on right away! He’s a great little bear (love the backpack). Thanks for sharing! The backpack was included in the pattern, I must admit. But it just seems to take the bear to new heights (maybe mountaintops?). 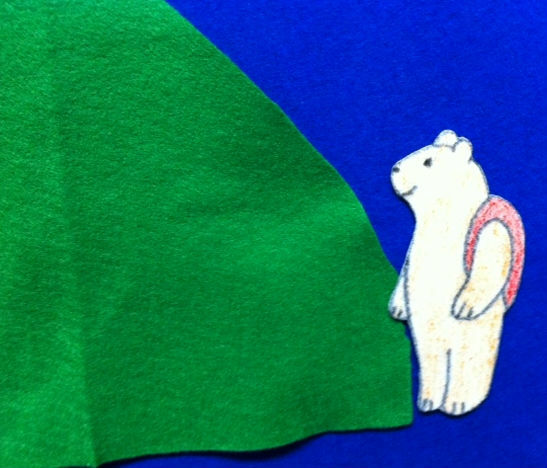 Clever, cute, reversible rugged bear! Judy Sierra is one of my heroes. I always know that if I get a story or flannelboard from her, it’s going to work! I wish I had seen this a month ago, We did bears for several weeks and used this song each week. We used sign language with it but your flannel set would have been perfect to add that visual element that the younger ones often need. Using sign language is such a great idea for this song! I’m going to have to steal that idea for my bear storytimes. I love reversible flannel pieces! The kids think they are magic! 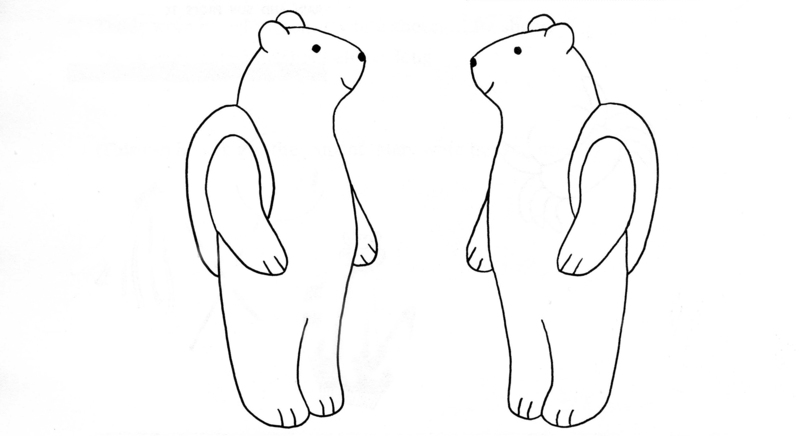 Would you be able to share the reversible bear template? I tried to buy the book that you suggested but it is no longer in print. I am an ESL teacher and I think my students would really like this activity. Hi Nina — I added a template of the bear! Hope this helps and that your students enjoy!